My first experience with The Escapists was actually when I previewed The Escapists: The Walking Dead for PC. Within minutes of beginning to play via keyboard, I knew the franchise was destined for a mobile release. I later spent many an hour with The Escapists on Xbox One; it worked wonderfully on console, of course — but there was just something about it that screamed touch screen. So when Team17 announced that Mouldy Toof Studios' prison-break game would be coming to iOS I knew it was fate. It was meant to be in my hands, contained within my glossy white iPad and iPhone instead of on the computer or television screen. 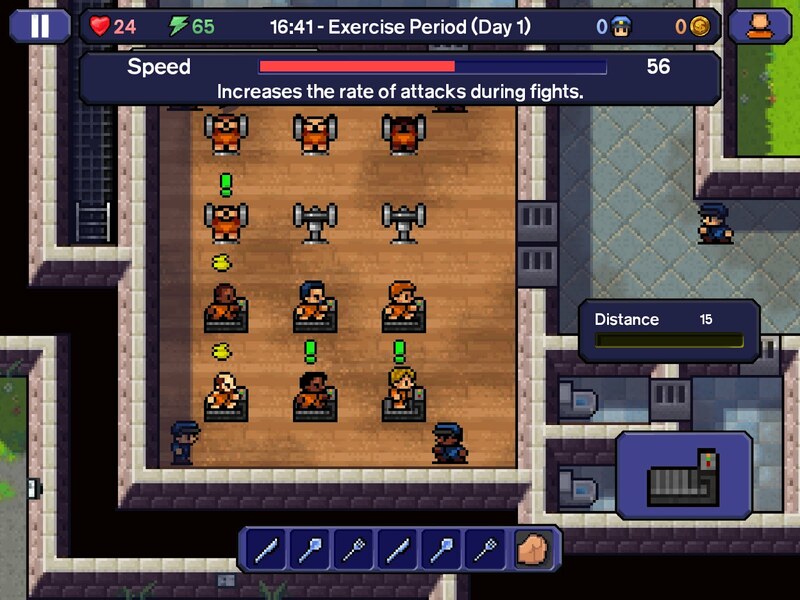 The Escapists is prison break game: the player can choose from a variety of prisons and customise their character slightly before being dropped into the prison with the goal of escaping. How the prisoner escapes doesn't matter; in early levels escaping can be a simple beat-and-run job, while more difficult prisons require weeks of careful planning and a bit of luck. Unfortunately, the customisation options are weak. There are barely enough skins to make each prisoner look different, and there is no gender option. I would normally hope for an update that includes a handful of more male skins in addition to a full set of females (after all, males and females don't exactly mingle in prisons) but based on the fact The Escapists was initially released in 2015 on several platforms without this change occurring, I won't be holding my breath. 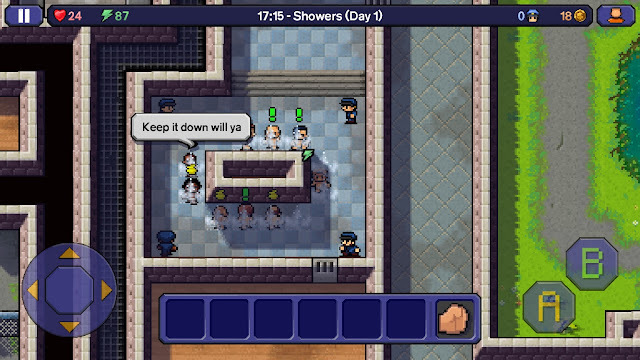 Related reading: For another take on The Escapists, read Nick's review of the game's original release on Xbox One. A brief tutorial introduces the player to the gameplay mechanics, either using touch or virtual controls. The touch controls feel incredibly natural to the point that the tutorial was barely needed. Drag a finger across the screen to have the little prisoner move in that direction or tap an object/character in order to interact. The virtual controls are quite pleasant as far as a gamepad goes, with the joystick being a bit difficult to get used to but growing on me over time. Normally, I would choose one control scheme and stick with it; with The Escapists, I prefer to use the touch controls on my iPad but the virtual controls on my smaller iPhone. The options is a wonderful one to have, and both are so simple they are easily interchangeable. The root of the game is, at the title suggests, escaping. Successfully breaking out of one prison unlocks another one — this is the only time that someone would want to leave a relaxed prison for one with a more rigid structure. The first prison is called Center Perks, likely a nod to the relaxed coffee shop on the classic television show Friends. The guards don't really care where the prisoners wander as long as they are in the courtyard for morning and evening roll call, so it's quick work to hit the gym excessively, punch a guard, and run free. As the player progresses through the prison system, the schedules become far more rigid and the guards far more strict. The location may be somewhere freezing cold or blazing hot, or you may be locked in your cell 90 percent of the day. When the prisons slide toward maximum rather than minimum security, it takes some patience and serious smarts to escape. The level difficulty progression curve is gentle, beginning with very easy and progressing through easy, moderate, hard, and very hard. There are several factors in creating an escape, with items and crafting topping the list of the most useful. Items can be found by digging through the private property of other jailbirds, stealing from jobs or unconscious people (be it prisoners or guards), or by swapping with another prisoner. Be careful though, as some items are contraband and the guards may find your illegal stash during their "random" checks that seem to happen only when there is actually something to find. Contraband items are marked as such, so when you have something you're not supposed to it's by choice and not by accident. Objects that are contraband are not surprising: in essence, anything that can be used to break out is a no-no. That means no weapons (baseball bats, shivs, etc.) or items that can obviously be used to break out (crowbars, grappling hook, etc.) can be in your possession without risk — unless placed in a contraband pouch. If it wasn't for this pouch I would likely get far too frustrated with the fact guards are only suspicious when I've pocketed something naughty, but with it the guards' "lucky" instincts become tolerable. Tasks can be done for cash, and when a prisoner has something they need doing a little green exclamation point appears. 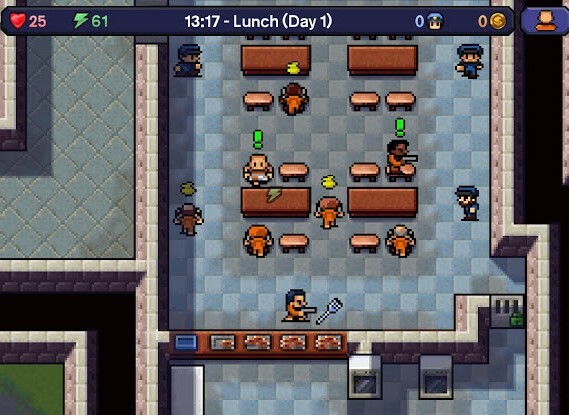 Tasks can be anything from distracting the guards during a given mealtime or finding an item the prisoner wants. Be careful though, you can only have a limited amount of tasks going at a time. The variety of tasks allows the player to play the way they want to; for example, I usually choose not to distract guards as I want to stay on their good sides, but I have no qualms about digging through the dressers of others to find chocolate to exchange for cash. Hey, I am a prisoner for a reason, so it may as well be petty theft. Opposing tasks is purchasing, where you become the one with the cash and a prisoner is selling you goods. If someone has something they are willing to sell, a little yellow squiggle-pile appears over their head. I don't know what the little squiggle-pile means (maybe I missed it?) 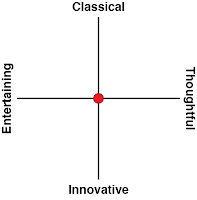 but I do know that it reminds me of a rubber ducky, and for some reason that makes me happy. 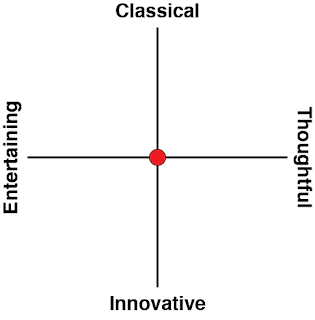 Do your thing, yellow squiggle-pile. You be you. Ahem. Moving on from my love affair with a tiny icon that kind of resembles gold poop. In addition to being used to buy items from other prisoners, cash can be used on the payphone in the yard. Whoever you call will give you a tip — for example, a crafting recipe — but it's at a cost. Everything is always at a cost in prison. You'd think I was a criminal or something. So what all fills up a prisoner's day, if one adheres to the schedule? Depending on the prison, there can be meals in a hall, working out in the gym, free time that I personally like using to get SMRT by looking at LOLcats online, and a job that pays cash and can be changed based on your intelligence. As the prisoners do on Orange Is The New Black, it can be helpful to spend spare time in the gym as well, beefing up your character's stats in strength and speed in case he gets into a scrap. One wonderful aspect of The Escapists is that it is a full-on premium paid iOS game. Looking at its structure, it would have been possible to make it freemium: one level unlocked for free, others had to be paid for, energy requires time or money instead of eating/showering/sleeping, ads everywhere. It would have been a horrific detriment to the pure joy that is the experience of playing The Escapists, so props to the developer and publisher for making the game's mobile excursion the gem that it deserved to be. It is why premium mobile games should be more highly regarded than they tend to be in the age where they are often overshadowed by freemium titles. 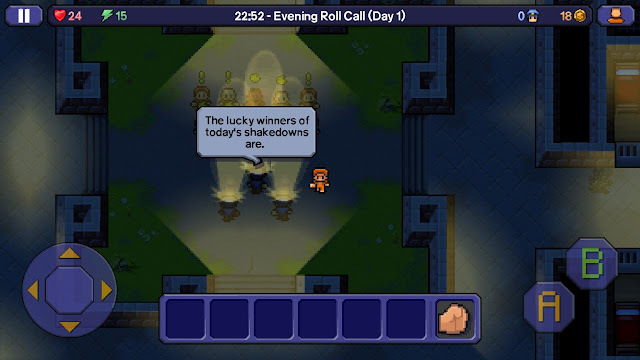 The Escapists has not only everything I want in a game, but also everything I want in a premium mobile title. One price gets you everything: dozens of hours of gameplay that includes sneaking, crafting, grinding, and the snazziest orange jumpsuits you'll ever see. The port is incredibly successful, with both control schemes working well and being easily interchangeable. To sum it up, I love it. I love it so much that I'm going to stop writing about it to continue playing some more — I'm eyeing HMP Iron Gate and think I can bust our in record time.